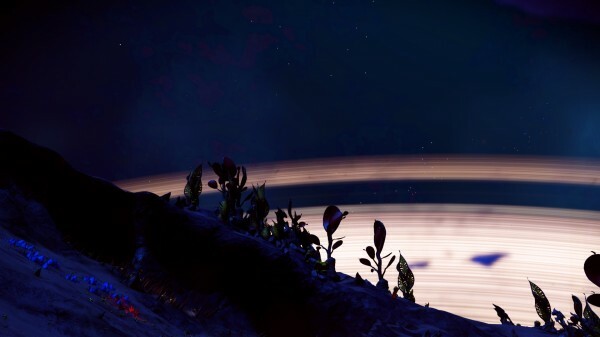 October 2nd, 2018 - B. Farrar, Ltd.
Having spent a solid chunk of time playing No Man's Sky, I can now say with certainty that there are things I like about it and things I don't. Things I like: the scope of the thing--the worlds are big, the spaces between them are big, and there's enough variety in types of planets that exploration remains interesting. Driving around in the all-terrain vehicles reminds me of playing with remote-controlled cars when I was a kid, and I'm still a bit gleeful about my astronaut character build, even though the only time I see him is when I'm taking pictures or getting in/out of my spaceship. 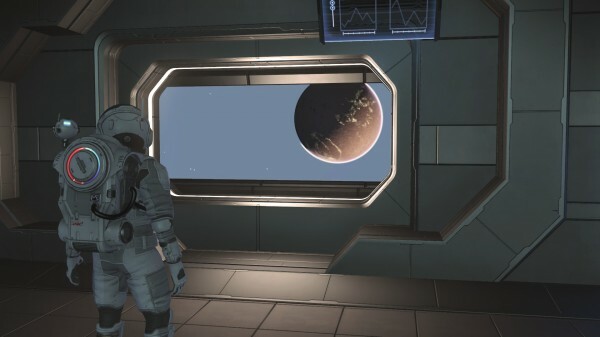 Being able to build a frigate fleet is pretty nifty, as is customizing the inside of your freighter homebase, including the ability to set up an entire hydroponics farm if you want. But all in all, it's definitely enjoyable, and I'm collecting so many extraterrestrial landscapes that it's fast becoming ridiculous. Switching from sci-fi to fantasy, I recently discovered that Project Gutenberg has a bunch of Conan the Barbarian novellas available, and have been happily chewing my way through them. They are indeed quite pulpy, but in a highly enjoyable way that reminds me of all the Tarzan novels I read as a kid. There are some writing tics that would get annoying in full-length novels, but in these shorter works they can easily be overlooked, and Robert Howard has a definite flare for atmosphere and intrigue. It's funny--I recently read a novel (Arrows of the Sun) which is well-constructed and includes many of the aspects that I enjoy about the Conan series, and yet it's lacking that certain something which would make me interested in revisiting it or telling other people about it. Definitely not the case with Conan, who has a captivating vitality to him, even if Howard does mention it overfrequently in the narration. Not sure there's any point in me recommending the series, as anyone interested in the genre has doubtless read them already. But on the off chance that someone's been thinking about reading the stories and just hasn't found an easy way to do so, here's Project Gutenberg to the rescue.